As for Fridays: WE ARE ROCKSTARS! Already nominated in the ‘British Breakthrough Act’ category at this year’s Brit Awards, and at only 19 years old, Jake Bugg has already been hailed as the next Bob Dylan although his sound and sentiment are distinctly unique to him and him alone. Championed by Rocks music director Zane Lowe, Jake played a support slot at Ibiza Rocks last season so it made perfect sense to bring him back to headline this summer. One of the best singer songwriters out there right now, it’s a total pleasure to have him open this 8th season of Ibiza Rocks. Warming up for Bugg, we welcome new rock sensation Findlay. Since supporting Dizzee Rascal & The Streets at Ibiza Rocks two years, Rizzle Kicks’ success has gone stratospheric. There’s a mutual love between the Rizzles and the Rocks – they even filmed their video for ‘Dreamers’ at Ibiza Rocks House at Pikes last summer. Having hooked up with Norman Cook and Neptunes super producer Pharrell Williams on their forthcoming new album and currently touring the U.S with fellow Rocks headliner Ed Sheeran, Rizzle Kicks will bring BIG things back to the famous open-air Ibiza Rocks stage this summer. This second gig of the Ibiza Rocks summer also has Amplify Dot on the bill, a talented rapper who first picked up the mic at the age of 13. As always, Ibiza Rocks bringing the very best in new talent to the island, ready for you to discover in the heart of San Antonio. Since performing at Ibiza Rocks in 2011 just as they released their debut album, London indie-rock outfitThe Vaccines have smashed the live scene, released No.1 follow up album Come of Age and become one of the most sought after bands on the festival scene. Having sold out London’s Alexandra Palace and 02 Arena within 6 months of each other and currently on a sold out European Tour, the guys will be Balearic bound once more for a headline show in Ibiza before continuing stateside where their success has also soared. Support on this show comes from Palma Violets, who have just completed the NME Awards Tour and are arguably the most hyped band since The Libertines. A special show guaranteed. Bastille’s just released debut album Bad Blood went straight to the top of the UK album charts, with No.2 single Pompeii taking over the airwaves across Europe. Fronted by UK singer/songwriter Dan Smith, this is a ‘must see’ live act on the festival scene this summer and Ibiza Rocks is delighted to have Bastille on the bill. Support comes from hotly tipped and indefinable Bristol mob The Other Tribe. Championed by both indie and electronic music lovers, the band cross musical boundaries and their illustrious new singleSkirts is as infectious as their live set. The electronic fuelled, DJ led night that sees an incredible mix of the most influential and exciting names in electronic music take over the famous outdoor ‘Rocks’ stage every Friday. We’re excited to announce that kicking off the first W.A.R! of the summer with a massive headline set will be master of new music, superstar DJ and long-term friend and champion of Ibiza Rocks, Zane Lowe. Together with his partner in crime Mark Ronson, Zane was a huge driving force behind the launch of W.A.R! last year and this June is coming back to kick off another sun-soaked, electric summer. Joining Zane for a night to remember on the Rocks stage is Philadelphia DJ, Producer and online sensation Baauer. As well as producing remixes for the likes of Nero and The Prodigy, Baauer’s own masterpieces have really made this man stand out. Criticallly acclaimed single Harlem Shake caused a massive viral explosion resulting in thousands of Youtube uploads per day and a subsequent No.1 US single. Now collaborating with hip-hop superproducer Just Blaze on the massive track Higher, the pair has just completed a joint tour. It will be a big night when Baauer hits up the Balearics for his debut at the W.A.R! Opening Party in June. Finally (to complete this stellar Opening Party line up) is a man that needs no introduction to the Rocks crowd. After a winter playing the biggest electronic festivals across the world, hosting on Rinse FM and releasing music on Diplo’s Mad Decent label we can confirm that long-time Rocks resident, and now global superstar DJ, Doorly is back in Ibiza this summer and ready for W.A.R! starting with what will surely be an Opening Party set to remember. June 4, 2013. Tags: Amplify Dot, Bastille, Dan Smith, events, Findlay, Jake Bugg, June, music, Opening Party, Palma Violets, Rizzle Kicks, summer, The Other Tribe, The Vaccines, W.A.R. Uncategorized. Leave a comment. IBIZA ROCKS 2013- MORE ACTS CONFIRMED! Ibiza Rocks guarantees hot weather, cool accommodation and 16 weeks of phenomenal live gigs under the Balearic stars, with the most in-demand live acts and DJ’s on the planet. Joining previously announced acts Jake Bugg, Example and Foals on the incredible line-up are chart-toppers and festival favourites Ellie Goulding, Dizzee Rascal, The Vaccines and Rizzle Kicks plus Jagwar Ma and Palma Violets. Ellie Goulding is undoubtedly one of the UK’s most singular and compelling songwriters. In the two-and-a-half years since releasing massive debut album Lights, Ellie has secured huge global success including the USA where she’s sold over 3m albums. Back with new album Halcyon and lead single, Anything Could Happen, Ellie shows a new immersion in electronica and dance beats, producing a fascinating collision between the clubbing scene and Ellie’s love of folk-pop soundscapes. These gigs are perfectly placed and it is a huge honour to have one of the worlds most successful female solo stars take centre stage for her debut at the Ibiza Rocks Hotel. After tearing up the new year in style with the release of DirteeTV.com The Mixtape Vol.2, Dizzee Rascal releases featured track Bassline Junkie this month, a taster of what’s to come from Dizzee’s forthcoming fifth studio album and his headline gig at Ibiza Rocks. It’s been almost 10 years since Dizzee released his debut single and Rocks is proud to have been on an incredible journey with the East London MC turned worldwide legend who has just been chosen by Muse to appear as a special guest on their UK Stadium tour. Having first headlined Ibiza Rocks in 2008, Dizzee’s love affair with Ibiza began and headline gigs followed in 2009, 2010 and 2011. Back to the Balearics and so, to his home away from home, Dizzee will once again bring his genre-fusing musical genius to the famous open-air Ibiza Rocks stage with a full new live show. Since performing at Ibiza Rocks in 2011 just as they released their debut album, London indie-rock outfit The Vaccines have smashed the live scene, released No.1 follow up album Come of Age and become one of the most sought after bands on the festival scene. Having sold out London’s Alexandra Palace and 02 Arena within 6 months of each other and currently on a sold out European Tour, the guys will be Balearic bound once more for a headline show in Ibiza before continuing stateside where their success has also soared. Support on this show comes from Palma Violets, who have just completed the NME Awards Tour and are arguably the most hyped band since The Libertines. A special show guaranteed. 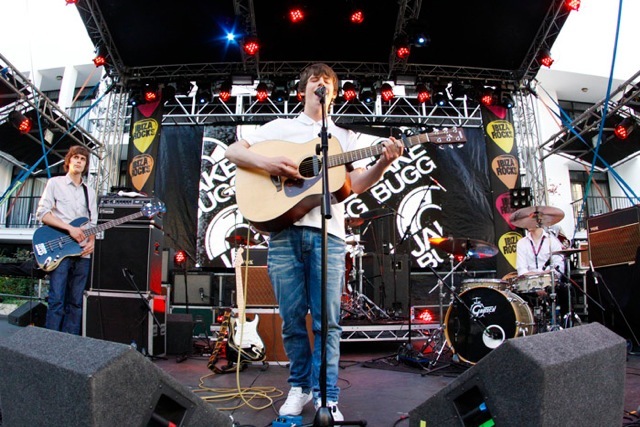 But before that, Ibiza Rocks will kick off the season in style in with the unique swagger and sound of Jake Bugg – BRIT award nominee for Best British Breakthrough Artist and one of the most hotly anticipated singer/songwriters of this generation. Previously announced artists also include Example who will make a triumphant return to the island with his full live festival show for his headline gigs and, arguably the ‘must see’ live band of the moment, Foals, who will headline the Ibiza Rocks Closing Party, supported by newly announced Sydney based duo Jagwar Mar who are hotly tipped as ‘ones to watch’ for 2013. Ibiza Rocks Group is also pleased to announce a new partnership with MTV, to screen live performances, exclusive artist interviews and all the highlights from the 16 week long series of outdoor gigs from the Ibiza Rocks Hotel this summer. Seven shows will be broadcast in total, with 3 x 30 min artist specials from Ibiza Rocks, and 2 x 60 min (multi-artist) compilation shows incorporating live track selection and exclusive interviews from Ibiza Rocks and its sister across the water. Coverage will also feature interview footage from Ibiza Rocks House at Pikes Hotel, the legendary rock ‘n’ roll Ibiza retreat where the headline bands stay. Award-winning London based production company, JJ Stereo, will produce all content. More ‘must see’ solo stars, bands and cutting edge DJ’s will be announced over the coming weeks, so fans can forget the mud and rain this summer and start looking forward to the gig, and holiday of a lifetime on the White Island. 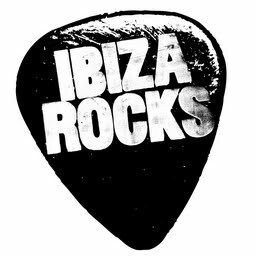 Shaping up to be stronger than ever, summer 2013 will see the celebration of Ibiza Rocks 8th Birthday during the 16 week season of spectacular outdoor gigs. The Ibiza Rocks Hotel encapsulates a whole lifestyle under one roof and put like-minded guests at the epicenter of the action in Ibiza. Hot weather and cool accommodation, where the rooms surround the courtyard, poolside stage and guests have the option of watching from their own private bedroom balcony. Tickets and hotel packages available now at www.ibizarocks.com and Gig Tickets priced at €40 EUR plus booking fee. Viacom International Media Networks UK & Ireland represent 20 channels that offer the very best in music, comedy and kids programming through its MTV, Comedy Central and Nickelodeon brands. The brands have been market leaders across the three primary genre groups for more than 10 years, reaching 22.9 million homes through SKY, cable and Freeview. Our ten branded music and entertainment channels comprise of MTV, MTV Music, MTV +1, MTV Rocks, MTV Classic, MTV Hits, MTV Dance, MTV Base, VH1 and VIVA. They feature the best in music alongside popular shows such as Pimp My Ride, The Hills, Jersey Shore, My Super Sweet 16 and Cribs. Comedy Central and Nickelodeon in the UK are part of the VIMN portfolio of channels through joint ventures with BSKYB. Viacom International Media Networks (VIMN), a unit of Viacom Inc. (NASDAQ: VIA, VIAB), is comprised of many of the world’s most popular multimedia entertainment brands, including MTV, Nickelodeon, Comedy Central, BET, Paramount Channel, VH1, VIVA, COLORS, Game One and Tr3s: MTV, Música y Más. Viacom brands are seen globally in more than 600 million households in 168 territories and 37 languages via more than 205 locally programmed and operated TV channels and more than 550 digital media and mobile TV properties. For more information about Viacom and its businesses, visit www.viacom.com. Keep up with Viacom news by following Viacom’s blog at blog.viacom.com and Twitter feed at www.twitter.com/Viacom. February 27, 2013. Tags: Dizzie Rascal, Ellie Goulding, events, Example, fix ibiza, Foals, ibiza, ibiza rocks, Jagwar Ma, Jake Bugg, MTV, music, Palma Violets, Redlight, Rizzle Kicks, The Vaccines. Uncategorized. Leave a comment. Ibiza, 27 de febrero 2013 (FIX Ibiza).- Ibiza Rocks llega junto al buen tiempo para ofrecer los mejores directos del verano durante 16 semanas consecutivas con los grupos y DJs más solicitados del planeta. A las actuaciones ya anunciadas de Jake Bugg, Example y Foals, se unen al cartel Ellie Goulding, Dizzee Rascal, The Vaccines y Rizzle Kicks, además de Palma Violets, Jagwar Ma y Redlight. Ellie Goulding es, sin duda, una de las compositoras más singulares y convincentes del Reino Unido. Dos años y medio después del lanzamiento de su álbum de debut, Lights, Ellie se ha asegurado un gran éxito mundial, incluyendo los Estados Unidos, donde vendió más de 3 millones de discos. Ahora regresa con su nuevo disco Halcyon, encabezado por el single Anything Could Happen. En este nuevo trabajo, Ellie se sumerge en la electrónica y la música de baile, lo que produce un choque fascinante entre los ritmos de club y su amor por los paisajes sonoros del folk-pop. Es un gran honor tener a una de las mujeres con más éxito del momento debutando en el escenario de Ibiza Rocks. Ellie Goulding afirma: “Estoy muy contenta de estar en Ibiza este verano. Ibiza Rocks es uno de los lugares donde siempre he deseado actuar. Cantar en directo para un público es mi pasión y poder hacerlo en un sitio que realmente me gusta es una ventaja extra. ¡Os espero!”. Tras el emocionante lanzamiento de DirteeTV.com The Mixtape Vol.2, a principios de año, Dizzee Rascal lanza este mes la canción Bassline Junkie, un aperitivo de lo que será su próximo y quinto álbum de estudio así como lo que veremos este verano en su concierto en Ibiza Rocks. Hace casi 10 años desde que Dizzie sacó su single de debut y como no podía ser de otra manera Ibiza Rocks está orgulloso de haber sido testigo del increíble viaje que el MC del Este de Londres ha hecho convirtiéndose en una leyenda internacional. Además acaba de ser escogido por Muse para participar como invitado especial en su gira por los estadios del Reino Unido. Habiendo actuado por primera vez en Ibiza Rocks en 2008, lo de Dizzee con Ibiza es toda una historia de amor, ya que volvió durante tres años consecutivos, en 2009, 2010 y 2011. Este verano regresa a casa con su genial mezcla de estilos para presentar un fascinante y nuevo show en directo. Dizzee Rascal afirma: “Estoy ansioso por volver a Ibiza Rocks este año. ¡Tengo ganas de una gran fiesta! La isla es una descarga, me encanta hacer vibrar al público, ellos saben como responder!”. Desde que tocaron en Ibiza Rocks en 2011, justo después de sacar su disco de debut, las banda londinense de indie-rock The Vaccines ha reventado la escena de conciertos. Más tarde, con su disco Come of Age, la banda se convirtió en una de las más solicitadas del circuito de festivales. Han colgado el cartel de ‘entradas agotadas’ en el Alexander Palace de Londres y el 02 Arena y ahora están inmersos en su gira europea. Los tendremos brincando en Ibiza, antes de continuar con su gira por Estados Unidos, donde su éxito se ha disparado. Para telonear este concierto contaremos con Palma Violets, quienes acaban de finalizar la gira de los premios NME. Podría decirse que desde The Libertines no ha habido una banda tan aclamada. Espectáculo garantizado. Justin Young, The Vaccines afirma: “’Todavía nos acordamos con mucho cariño de la primera vez que tocamos en Ibiza Rocks. Fue muy divertido. Fue a mitad de aquel primer verano que no paramos de tocar en festivales con el añadido de que estar en Ibiza fue como gozar de unas vacaciones. Tanto, que este año repetimos. ¡Nos morimos de ganas!”. Desde que telonearon a Dizzee Rascal & The Streets en Ibiza Rocks hace dos años, el éxito de Rizzle Kicks se ha vuelto estratosférico. Hay un amor mutuo entre Rizzle e Ibiza Rocks, incluso grabaron el videoclip de ‘Dreamers’ en Ibiza Rocks House en el Hotel Pikes el verano pasado. Para su próximo álbum cuentan con el súper productor Pharrel Williams, también de Norman Cook y de Neptunes. Actualmente están de gira con uno de los nuestros, el responsable de abrir la temporada del año pasado, Ed Sheeran. Seguro que el directo de Rizzle Kicks en Ibiza Rocks de este verano será muy grande. Rizzle Kicks afirma: “Tenemos muchas ganas de estar en Ibiza Rocks de nuevo. Hemos tocado dos veces como teloneros así que volver siendo la actuación principal es enorme. El sol brilla y todo el mundo está en modo vacaciones. Los conciertos tienen una gran atmósfera festiva con gente bailando en los balcones de sus habitaciones alrededor del escenario. Es una experiencia única, estás ahí, tan cerca de los fans. Estamos ansiosos por volver”. La temporada la inaugurará Jake Bugg, nominado recientemente a un premio BRIT al mejor artista emergente británico y es uno de los compositores más aclamados de su generación. Entre los artistas ya confirmados se encuentra Example, que hará un retorno triunfal a las Baleares con su completo show en directo para encabezar conciertos en ambas islas, le teloneará el aclamado DJ y productor Redlight, que exhibirá su nuevo show en directo en Ibiza Rocks. Podría decirse que Foals son el ‘must see’ del momento, encabezarán la fiesta de clausura en Ibiza Rocks, y serán teloneados por el dúo Jagwar Ma, que desde Sidney, son una de las bandas que no hay que perderse en 2013. El Grupo Ibiza Rocks, además, se enorgullece de anunciar una nueva colaboración con MTV, para proyectar las actuaciones en directo, entrevistas exclusivas a los artistas y los momentos más importantes de lo que ocurra en las 16 semanas de programación de este verano, emitiendo en MTV Live HD y a través de su canal estrella MTV Music. En total se emitirán 8 shows, con 4 especiales de media hora sobre los artistas de Ibiza Rocks, además de 2 recopilaciones de una hora sobre varios artistas incluyendo una selección de canciones en directo y entrevistas exclusivas. La cobertura también incluirá una secuencia de entrevistas desde Ibiza Rocks House en el Hotel Pikes, el legendario lugar de descanso para las estrellas del rock’n’roll en el que se hospedan nuestras bandas. La productora del contenido será JJ Stereo, empresa londinense ganadora de varios premios. En las próximas semanas anunciaremos más artistas, bandas y DJs de vanguardia, para que los fans puedan olvidarse de los problemas y el mal tiempo y puedan empezar a pensar en el concierto y las vacaciones de su vida. El verano de 2013 será testigo del la celebración del octavo cumpleaños de Ibiza Rocks, una cita siempre a tener en cuenta de la temporada ibicenca. Entradas y alojamiento ya disponibles en www.ibizarocks.com. 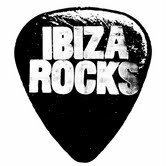 Todas las noticias de Ibiza Rocks en www.facebook.com/ibizarocks. Síguenos en Twitter: @ibizarocks y en la etiqueta #IRocks2013. Para recibir nuestro newsletter, regístrate en http://www.ibizarocks.com/newsletter. February 27, 2013. Tags: Dizzie Rascal, Ellie Goulding, eventos, Example, fix ibiza, Foals, ibiza, ibiza rocks, Jagwar Ma, Jake Bugg, MTV, musica, Palma Violets, Redlight, Rizzle Kicks, The Vaccines. Uncategorized. Leave a comment. Ibiza, 6 de febrero 2013 (FIX Ibiza).- Sol, un alojamiento especial y 16 semanas de las mejores bandas en directo y DJs es la garantía Ibiza Rocks para la próxima temporada de verano 2013. Y el anuncio de Foals como cabeza de cartel del cierre de Ibiza Rocks, lo sostiene. La banda que lidera Yannis Philipakis ha comenzado con buen pie el 2013, lo cual es razonable. Su tercer trabajo ‘Holy Fire’ -saldrá a la venta la próxima semana- y sus increíbles nuevos singles ‘Inhaler’ y ‘My Number’ han catapultado a la formación a presidir las listas de éxitos de las emisoras de radio musicales, así como protagonizar total atención de festivales, fans y críticas en todo el mundo. Sus directos por todo Reino Unido han colgado el cartel de aforo completo y memorable fue el concierto en Royal Albert Hall, con todas las entradas vendidas a tan solo 15 minutos de ponerse a la venta. Con todo, Ibiza Rocks está más que orgullosa de dar la bienvenida a Foals, en una fecha, la del cierre, que en ocasiones anteriores protagonizaron otros grandes como Two Door Cinema Club, Noah and the Whale, Klaxons o The Specials, por citar algunos. Yannis Philippakis dice: “Siempre hemos querido ir a los cierres de Ibiza y ahora, resulta que vamos a tocar en directo en uno. ¡Doble diversión!”. Foals se une al cartel de Ibiza Rocks 2013 en el que reluce como artista invitado para abrir la ya octava edición del festival, Jake Bugg. Inaugura escenario el próximo miércoles 5 de junio. Con solo 18 añitos ya está nominado en la próxima gala de los BRIT Awards en la categoría de ‘Mejor Artista Revelación’. Su sonido es único y diferente a todo lo que suena en este momento. Uno de los grandes cantantes y compositores de su generación. Otra fecha cerrada es la que compromete a Example para con Ibiza Rocks el 14 de agosto. Y habrá mucho más, hasta completar una programación de 16 semanas de duración, en el Ibiza Rocks Hotel, los miércoles entre el 5 de junio y el 18 de septiembre de 2013. No tardará en salir a la luz. Venta de entradas y reservas de hotel ya disponibles a través de la web www.ibizarocks.com. February 6, 2013. Tags: DJ Wire, eventos, Example, fix ibiza, Foals, ibiza rocks, Jake Bugg, musica. Uncategorized. 1 comment. Ibiza, 6th February 2013 (FIX Ibiza).- Ibiza Rocks guarantees hot weather, cool accommodation and 16 weeks of phenomenal live gigs under the Balearic stars, with the most in-demand live acts and DJ’s on the planet. 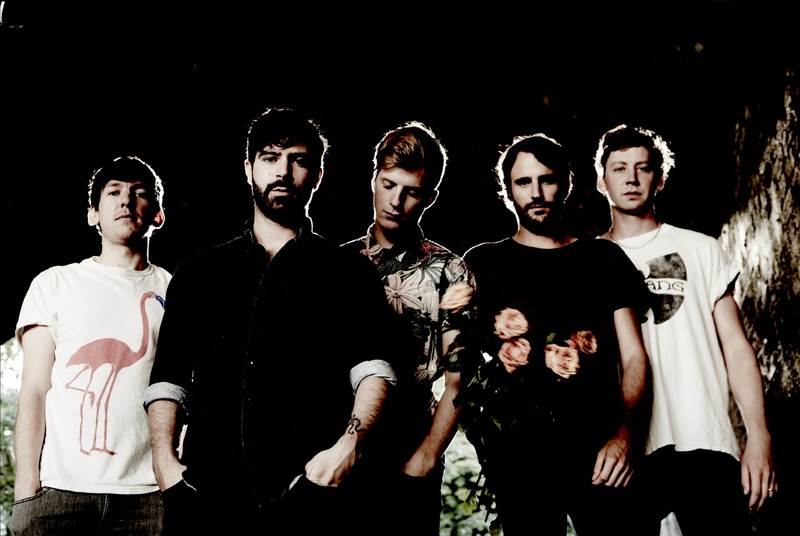 Bands don’t get much hotter right now than festival favourites Foals – the phenomenal five-piece that will headline the Ibiza Rocks Closing Party on Wednesday 18th September. To say that Yannis Phillipakis and co. have got off to a good start in 2013 is a huge understatement. With their hotly anticipated third studio album ‘Holy Fire’ set for release next week, the incredible new singles ‘Inhaler’ and ‘My Number’ have catapulted the band onto the radio A-list and caught the attention of festivals, fans and critics across the globe. As well as a critically acclaimed new album in the pipeline, Foals also boast a stunning live show that has packed venues around the UK including two colossal shows at London’s Royal Albert Hall which sold out in just 15 minutes. With this sort of momentum behind them, Ibiza Rocks is hugely excited to welcome Foals to the famous open-air Rocks stage for the coveted closing party slot, previously played by Two Door Cinema Club, Noah and the Whale, Klaxons and The Specials, to name a few. Ibiza Rocks will kick off the season in style on 5th June with the unique swagger and sound of Jake Bugg -BRIT award nominee for Best British Breakthrough Artist and one of the most hotly anticipated singer/songwriters of this generation. Previously announced artists also include Example who will make a triumphant return to the Balearics with his full live festival show for a headline gig in Ibiza on 14th August. Example and DJ Wire will also make Ibiza their home for a month when they headline no less than 5 We Are Rockstars (W.A.R!) shows at the Ibiza Rocks Hotel on Fridays July 5th, 12th, 19th, 26th and August 23rd. Many more ‘must see’ solo stars, bands and cutting edge DJ’s will be announced over the coming weeks, so fans can forget the mud and rain this summer and start looking forward to the gigs and a holiday of a lifetime in the sun-soaked Balearics. will see the celebration of Ibiza Rocks 8th Birthday during the 16 week season of spectacular outdoor gigs. Offering a choice of quality accommodation options at exceptional value, Ibiza Rocks every Wednesday from 5th June to 18th September. Editors for full list of options and prices). February 6, 2013. Tags: Closing, DJ Wire, events, Example, fix ibiza, Foals, ibiza rocks, Jake Bugg, music, WAR, Yannis Philippakis. Uncategorized. Leave a comment.